I am seriously hyped as in little over two weeks we will all be blessed with the arrival of Super Mario Maker for Wii U. Before watching this video on #Youtube, I was excited but after watching it, I am even more so. The possibilities are endless and the only limitation is one’s own imagination. From creating your own levels to playing levels that have been created by others all around the world, To using your #amiibo to create new costumes for Mario. Chaining baddies together to make even more formidable foes. The game is an immense mind blower. I am also quite glad that the game has a warm-up period unlocking new features everyday as you play which in my mind is great, I would feel pretty overwhelmed with having all features available at once without any knowledge or experience of putting a level together. 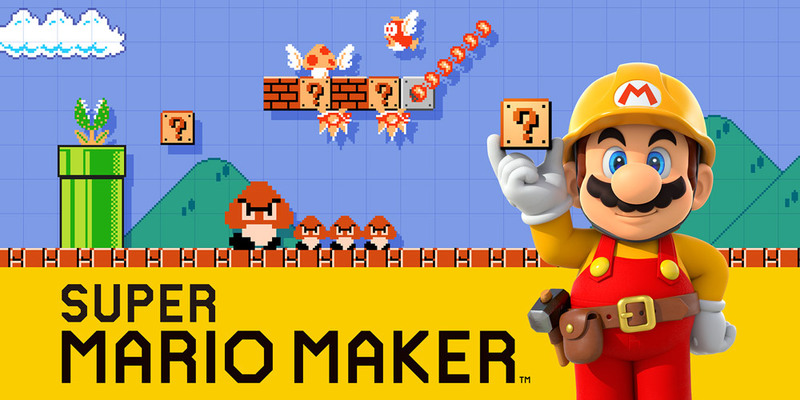 At least this way you can start basic and improve on your levels as you develop you Mario Maker Skills. How do you guys & girls feel about this amazing game? Those of you that own a Wii U, have you added it to your wishlist and Non-Wii U owners, Is this game reason enough to bite the bullet and get a Wii U? I would love to hear your thoughts and opinions! My partner preordered this and we both can’t wait to play it. I think we’ll enjoy playing some crazy levels that others have made but it’ll be cool to try and come up with some levels ourselves for each other to play.